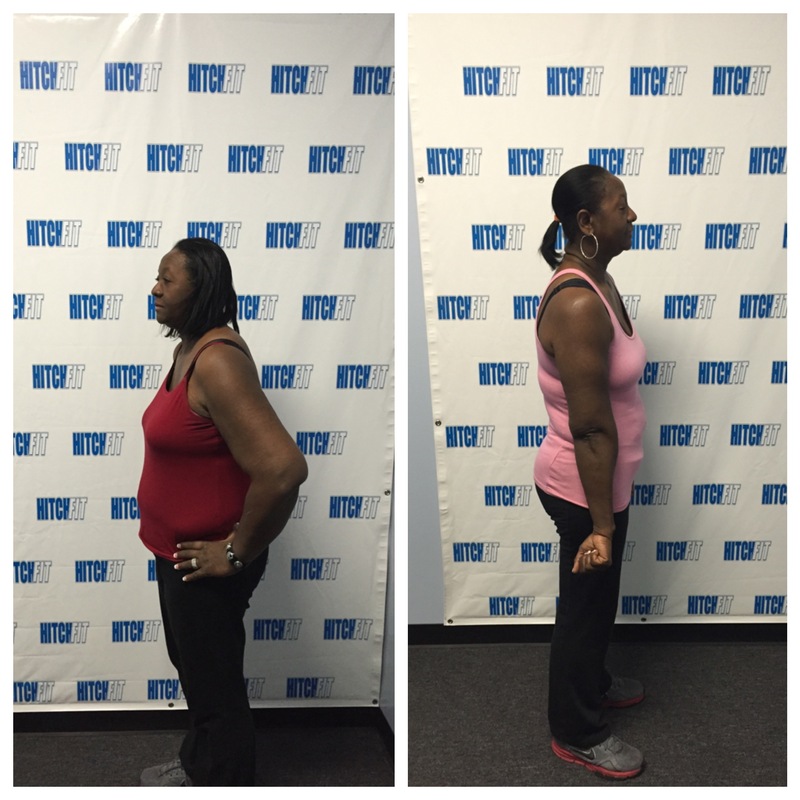 Vegetarian Personal Training Client Loses Weight at Hitch Fit! 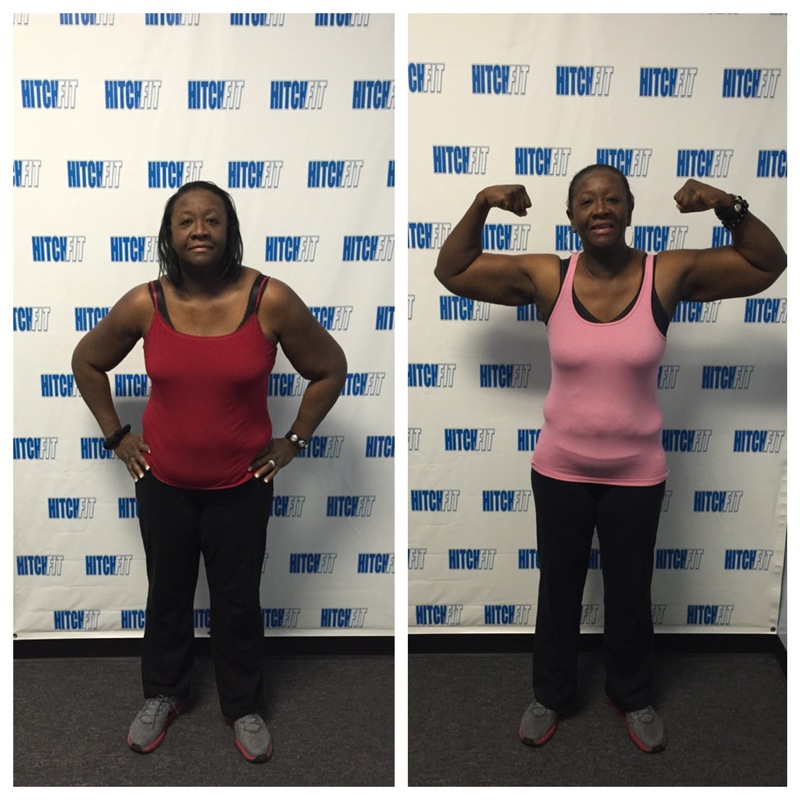 Home/Success Stories/Vegetarian Personal Training Client Loses Weight at Hitch Fit! Vegetarian Personal Training Client Gets Serious about Fitness at Hitch Fit Gym! “I always tell my sons that the hardest part about anything is getting started, so December 2014 I pushed myself to get started with my quest to be healthy and make changes in my life. In March 2014 my church started a “Daniel Fast” that was only supposed to last until Easter Sunday, but during the fast I noticed how much better I felt without any meat in my diet. I changed my eating habits and adopted the meatless lifestyle and have been a vegetarian for a year. On Christmas Eve 2014, I began to use my gym membership again and I have been exercising every day since then. My next change was to move from being curious about the HitchFit experience and become SERIOUS about it. I was familiar with this company and have seen the owners on the BetterKC TV show and have visited the webpage a few times but I was just curious about it at that time. I became serious when I received the Groupon in my e-mail. I was happy to see that they had a location closer to me (Overland Park), so I called to set up my visit to try it out. I was contacted by Deron Gamble to set up my appointment and when I bravely showed up, he gave me the tour, showed me the wall with all of the before/after photos and explained the gym to me. On January 9, 2015 I joined Hitch Fit and started my transformation with a vegetarian meal plan and intense exercise. I was very nervous and uncertain during my first few sessions, this was the first time that I had worked with a personal trainer and did not know what to expect. When my training started, I had never tried, wanted to try, or even heard of some of the exercises that Deron “created” as part of my transformation plan. He was very patient and showed me how to execute the exercises properly so that I could do them on my own. I soon learned that tricep dips are my least favorite exercise, and for some reason he still makes me do them….even when I told him that I had given “dips” up for Lent. My trainer believed in me so I was committed to attempt (very badly at first) the exercises that he had for me. I did not give up, and with his persistence and encouragement and my dedication to the process, I am now able to go through my hour-long training sessions better (not easier, but better) and with more confidence, and tackling more challenging exercises. Thank you Deron for pushing me to get stronger. I have dedicated the Year 2015 as my “Happy YOU Year” and I have made intentional changes to my lifestyle and I am glad that Hitch Fit and my trainer have been a part of my year. My sons and other family members are noticing my physical changes and continue to encourage me to keep going. I am happy with my transformation, but I am not finished with my journey because I have more gains to make and muscles to grow.